Before the tragic event on Feb.14, 2018, most of the fire drills at the school were due to culinary accidents. The cause was usually attributed to a dish creating too much smoke or a student not paying attention. Throughout the school, culinary is known for being one of the repetitive factors of the alarm going off. After Feb. 14, everything has changed. In the instances where the alarm goes off, students won’t know whether or not it is a drill or an actual fire. The ovens in the class are a little unstable as they can go from cool to hot very quickly. “You have to keep a really close eye on the oven to make sure everything goes as planned,” said senior Sabrina Vargas. To cope with the situation, a buddy system is in place to help some of the students during evacuation and fire drills, as well as some breathing and tapping exercises created by Kurth. Two of the smoke detectors have been removed from the culinary classroom and have been replaced with heat detectors. Also, certain foods, such as duck, will not be taken off the list of cooking. Duck is known as one of the foods in culinary room to make a lot of smoke. Returning students are extra cautious for this upcoming school year in order to not set off any alarms. “They aren’t so worried about burning the food, they are more worried about how much smoke it will create,” Kurth said. In addition to culinary being more careful of accidentally triggering a fire alarm, administration is making additional changes. 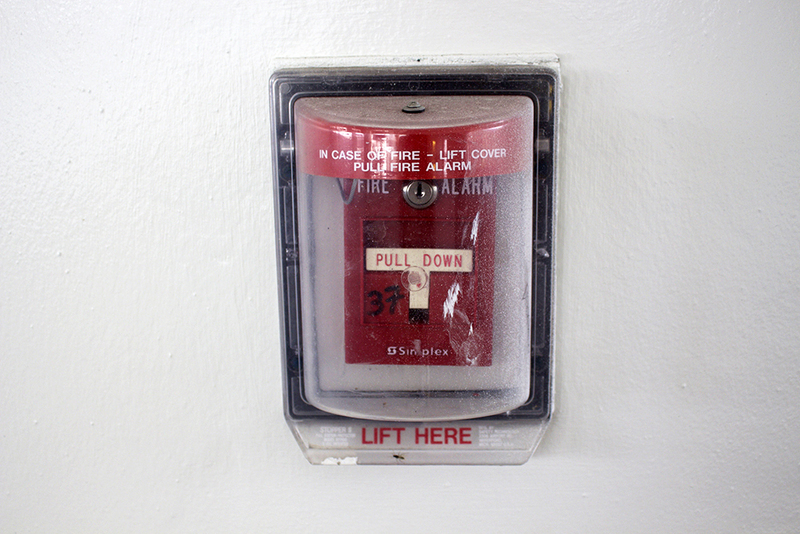 Now and until further notice, fire drills will be conducted over the PA system instead of sounding the actual fire alarm. This is to decrease student’s anxiety and make it easier for students to complete Florida’s mandated monthly fire drill, with a total of 10 every school year.